The Secretary-General of United Nations (UN), António Guterres, says he is concerned by the potential risk of escalating violence over the situation in the Old City of Jerusalem. In a statement, he cautioned all political, religious and community leaders to refrain from provocative actions and rhetoric. “I reiterate my concern over the situation in the Old City of Jerusalem. It is essential to fully respect the status quo at the holy sites as before July 14,’’ he said. The statement came in the wake of a series of deadly stabbings and killings, leading to rising tensions in and around Jerusalem’s Old City since mid-June, particularly near the holy site. 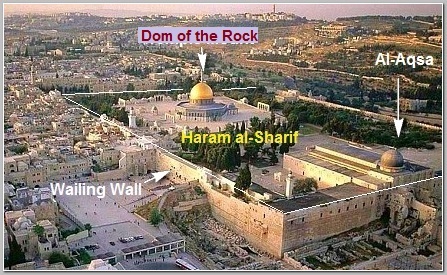 NAN reports that the holy site is referred to as the ‘Temple Mount’ by the Jews and as ‘Haram al-Sharif’ by the Muslims. It is revered by Jews as the location of two biblical temples and is the holiest site in Judaism. The compound also houses the ‘Dome of the Rock’ and the ‘al-Aqsa Mosque’, the third holiest mosque in Islam. Guterres welcomed the dialogue between Israel and Jordan, in line with Jordan’s special and historic role, and encouraged continued discussions on how to ensure security for both worshippers and visitors. “I am particularly concerned about the potential risk of escalating violence. I urge all political, religious and community leaders to refrain from provocative action and rhetoric and call on Israel to demonstrate restraint,’’ the UN chief said. The UN Special Coordinator of the Middle East Peace Process, Nickolay Mladenov, at a scheduled briefing to the Security Council, on Tuesday, warned that decisive action was required to revive negotiations and end the crisis in Jerusalem. According to Mladenov, swift action is urgently needed before rising tensions drag both Israelis and Palestinians into a crisis that could impact the wider region. Commending decisions by Israeli and Palestinian authorities to restore access to the Al-Aqsa Mosque compound and services to Gaza, Mladenov called upon both sides to refrain from activities that could exacerbate tensions.